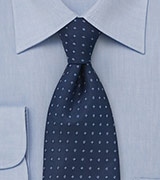 Looking for an easy and versatile knot? 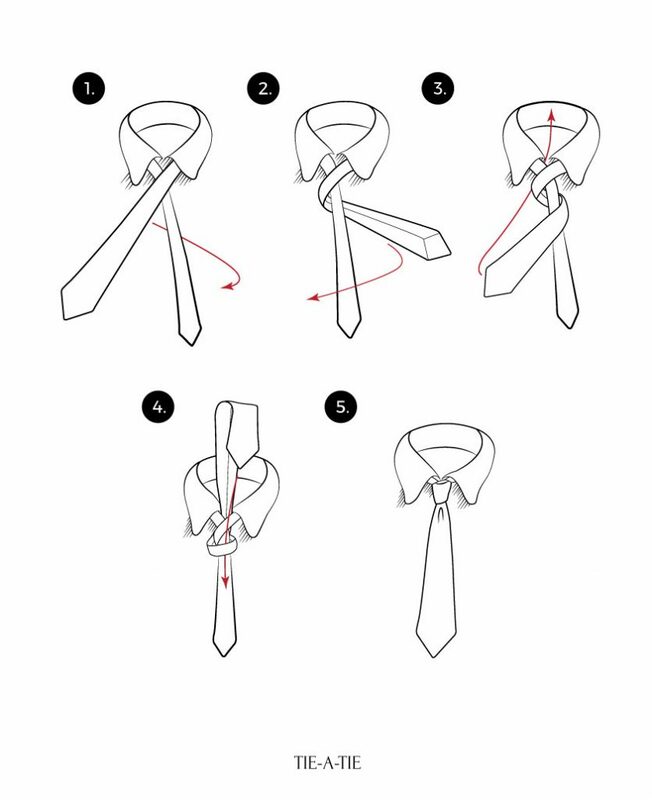 Then the “Four in Hand” is the one. 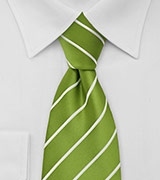 It is one of the simplest tie knots, making it a perfect pick for men new to wearing ties. Follow these 5 simple steps. Prefer video instructions? 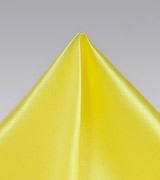 Then scroll down. 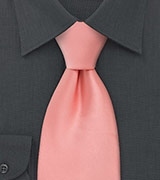 The Four in Hand Knot makes for a narrow, more discreet and slightly asymmetrical tie knot. 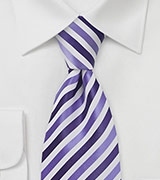 It is best suited for a standard button-down dress shirt and works best with wide neckties made from heavy fabrics. 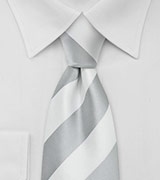 While this tie knot can be worn by anyone, it looks especially well on men with shorter necks as the knot’s rather narrow and elongated form stretches the perceived height of the neck a tiny bit. 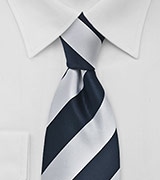 To tie the Four in Hand Knot, select a necktie of your choice and stand in front of a mirror. Then simply follow the steps below. 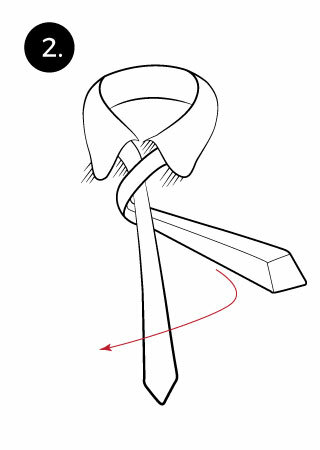 Start with the wide end (“W”) of your necktie on the right, extending about 12 inches below the narrow end (“N”) on the left. 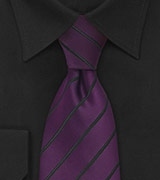 Then cross the wide end over the narrow end. Wrap the wide end around the narrow end. 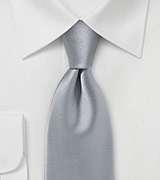 Then, pull the wide end up and through the loop around your neck. Hold the front of the knot loosely with your index finger and bring the wide end down through the front loop. 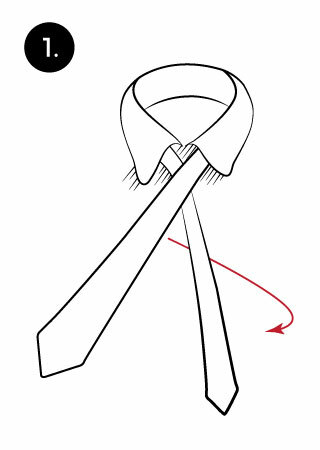 At last, remove your finger and tighten the knot carefully to the collar by holding the narrow end and sliding the knot up. For permanent downloads of the Four in Hand Knot video to your PC or cell phone as well as easy to print out one-page cheat sheets for you wallet or closet, you may want to check out my Tie Knot Video Series page.